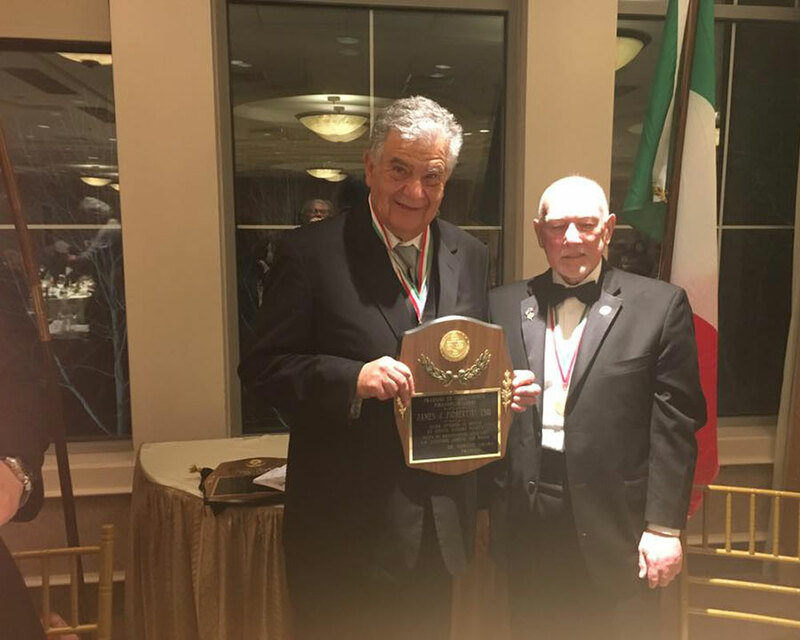 Haverhill’s longest serving mayor, James J. Fiorentini, was recognized for his contributions to the city by the Italian-American group Pirandello Lyceum over the weekend, receiving the group’s “I Migliori Best in Mind and Deed” award for municipal leadership. Presented with a plaque over dinner with the group’s Board of Directors and President Dr. Domenic Amara Saturday in Lynnfield, Fiorentini was nominated for the award by James Bevilacqua. Fiorentini attended the ceremony with Haverhill’s First Lady, Martha Fiorentini, and his sister Anne Savinelli.